What's the best type of TV antenna for your location? There are plenty of ways to cut cable and save money, but one of the best is using an over-the-air (OTA) antenna for high-definition television (HDTV). By midnight of of February 17, 2009, nearly all U.S. television stations had transitioned from analog over-the-air transmissions to digital signals. Today, the only way to receive these HDTV signals is by using a digital antenna. You would think you could drive down to your local WalMart, purchase any digital antenna and start watching free HDTV. Unfortunately, it's not quite that simple. 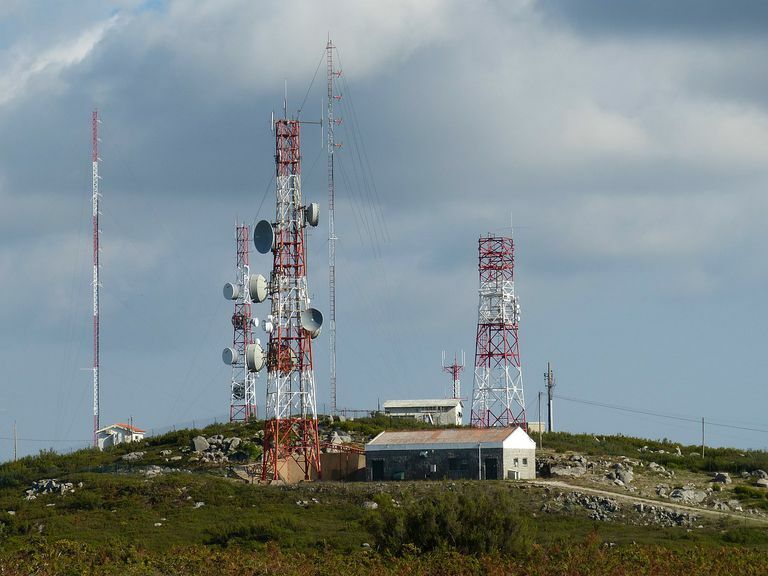 There are a number of OTA antennas available, and the one you choose depends on how far you live from the transmission towers, what direction the towers are from your location, and which channels you're hoping to receive. The best starting point is to create an OTA antenna map for the channels you're hoping to receive with your new antenna. To do this, head over to the FCC's website and type in your zip code or click Go To My Location. To the left of the map, you'll see a list of stations in your area, including all of the following information. When you click on each station you're interested in receiving with your OTA antenna, you'll see an image of the station's transmission tower show up on the map. You'll notice that the mapping tool draws a line between your location and the transmission towers. You can extend each station item to see more stats like the city or town where it's licensed, its RX strength, and most important its distance from your location. Combined with the direction of the line from your location to the tower, you have everything you need to choose the right OTA antenna. Before you choose the antenna for your situation, it's important to understand ultra-high frequency (UHF) and very high frequency (VHF) antenna technologies. VHF: Includes frequencies from 54 to 216 MHz. Channels range from 2 to 13. UHF: These are frequencies from 470 to 890 MHz. Channels range from 14 to 51. Antennas are designed to receive either UHF, VHF, or both. Indoor antennas are usually specialized to recieve the VHF range of channels. However it's becoming far more common for antenna manufacturers to produce antennas capable of receiving both. VHF-only antennas usually have long, straight sections and are usually large and spread out. UHF-only antennas usually have loops or shorter sections. Multi-band antennas will feature a mixture of both of these - long prongs and smaller round loops. Indoor antennas come with the capability to receive signals from various distances. The further the antenna can receive a signal, the more it usually costs. Outdoor antennas are much larger and can usually receive signals from a much longer distance. Now that you have a list of channels you're interested in, whether they're UHF or VHF, the distance those transmission towers are from your home, and the direction they are, you're ready to start shopping for an OTA antenna. Use each of these criteria to determine the kind of antenna you need. UHF or VHF: Review your channel bands. If all channels are VHF, then you know you can buy a VHF-only antenna. If they're a mix of VHF and UHF, you'll need to make sure the antenna you buy is multi-band capable. Tower distance: Look at your map and identify the transmission tower that's furthest from your house. The antenna you buy will need to be rated at least this distance, but preferably a little farther. Direction: You new OTA antenna will need to point in the direction of the towers you want to receive. If all the towers are in one general direction, you can identify a window in your house facing in that direction where you could place an indoor antenna. If the towers are spread out, you may need to opt for an outdoor antenna, either mounted outside the window, or on top of the roof. Whether you use an indoor or outdoor antenna, placement is critical. This means you'll likely need to run coax cable from the location of your antenna to your TV. So, make sure you buy enough coax cable and know the path where you can run the cable through your house. What do you do if the transmission towers are located all around your house in different directions? In this scenario, you have multiple options. Since this scenario is so common, OTA antenna manufacturers created what are called multi-directional or omni-directional antennas. The common flat indoor antennas are meant to be placed on top of a coffee table and include technology that allows them to receive TV signals from many directions. Most outdoor antennas are also designed to receive signals from multiple directions, and come with a base that lets you swivel the antenna to turn it as needed. In situations where the transmission towers are roughly 40 degrees apart or less, omni-directional antennas will do the trick. This is ideal, because it'll allow you to avoid the extra costs involved when transmission towers are spread out in all 360 degrees. If the transmission towers are spread in all different directions around your home, you aren't out of luck. But you will need to invest in a little extra technology to receive all the channels you're interested in. In this scenario, different groups of towers might be located up to 180 degrees apart from one another. There's a solution for this scenario as well. You'll need to purchase 2 uni-directional antennas. If the towers are far away, you should buy outdoor antennas as well. Mount one multi-directional antenna pointed toward the first group of towers. Place another multi-directional antenna pointed toward the second group of towers. Purchase an OTA combiner that receives signals from both antennas and passes the signal to your television set. An OTA combiner is relatively inexpensive, but it lets you plug in coax cables from the two antennas and pass them to a TV set (through a third coax cable) as though all of the channels are coming from one antenna. Instead of buying two antennas, many people try to save money by purchasing a device known as an antenna rotor. These are motorized devices that you can adjust from inside the house. When you want to watch a channel from a transmission tower that's in an opposite direction, you just turn the antenna until the signal comes in. This sounds like a great solution, but there are several problems. Adjusting the antenna direction can get tiring and annoying. You need to wait until the antenna is finished adjusting before you can watch the channel. DVR devices can't record two channels from towers located in different directions. Motorized devices are more likely to break down, especially in cold or inclement weather. As you can see, the hardware you choose and how you place it around your home all starts with the initial FCC map and how the transmission towers are arranged in your location. If the FCC website isn't detailed enough, there are convenient mobile apps that can help you identify the location and direction of local TV transmission towers. Some apps will even show you the strength of those signals. A mobile app can be very convenient when you're outside trying to place those antennas. This is a map based app that shows you all of your local TV transmission towers in your local area. It uses the location of your mobile phone as your map center, but you can search any location by zip code. The only downside of the app is that it displays an ad every now and then. The NoCable app has an impressive mix of features that'll make it easy for you to choose the channels you know you can receive with your OTA antenna. The main page lists all of the channels in your area, along with the distance of those transmission towers from your location, the direction of those towers, and the relative signal strength. If you download any single OTA antenna app, this is the one to install. This app is deceptively simple. When you first launch the app it'll display a list of all of your local TV station transmission towers. You'll see the call sign, the channel, and the direction of the tower. If you click on any of the stations, you'll see a larger arrow showing the direction to the tower. This is perfect for when you're placing the antenna and pointing it in the right direction. This app is ideal for fine-tuning your antenna position for the ideal signal. This app is the simplest of them all, but still very useful. The main page when you launch the app shows every local station in your area along with the distance and direction to the transmission tower. It's easy to choose the stations you want to watch and mark the direction you need to point the antenna. Click on any single station to see a large arrow on the display pointing in the correct direction to aim your antenna. The Antenna Pointer app offers an impressively detailed terrain map showing the nearest TV transmission towers. It also overlays a green compass on the map so you can see when you're pointing your phone in the same direction as the tower. There are also advanced menu options including azimuth, point to point display, and even an inclinometer so you can make sure you've got the antenna set level or at a preferred incline. You can even export the transmission tower maps as well. Choosing the right antenna for your situation doesn't need to be complicated. So long as you know the channel and tower details, you can choose the perfect OTA antennas for your situation. Is Your TV Antenna Receiving All Your Local Stations?